Radio Television Hong Kong picked up Earth to Luna! 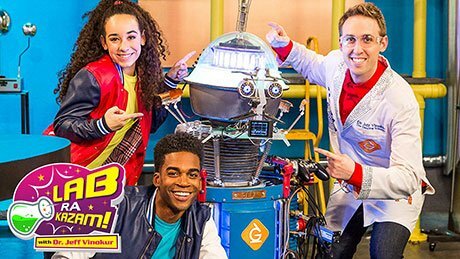 Broadcasters and platforms in Hong Kong and MENA have acquired science-based children’s shows from Ireland-based distributor Monster Entertainment. Targeting kids aged three to six, Earth to Luna! 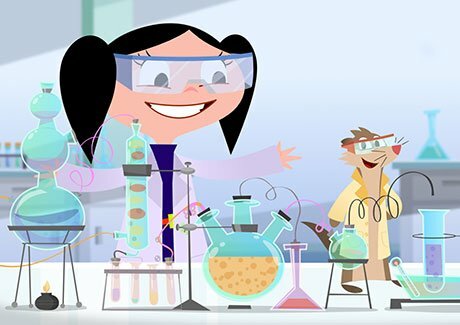 follows a six-year-old girl who is passionate about science. It has been acquired by pubcaster Radio Television Hong Kong. Meanwhile, the SVoD rights to the show, which comes from Brazilian prodco TV PinGuim, have been acquired by UK-based preschool on-demand service Hopster. The series has a total of 104 episodes over four seasons, while a fifth season is in production and a sixth is planned. It has previously been sold to broadcasters including TG4 in Ireland and Discovery Latin America. Monster is also selling Lab-Ra-Kazam (36×12′), a show that premiered in the US on generationgenius.com, a subscription streaming platform set up in partnership with the National Science Teachers Association. SVoD rights to the show have recently been acquired by PCCW Media, owner of the Hong Kong-based pay TV service Now TV, in Hong Kong and Macao. BeJunior, meanwhile, has taken pay TV and VoD rights in MENA. The series aims to bring school science topics to life through entertaining and educational videos and targets 6-11s.